Mydent International has introduced Bite Block Covers to its growing line of DEFEND products. 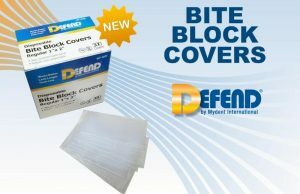 Clear and latex-free, DEFEND Bite Block Covers provide an economical solution by eliminating the need for disinfection or sterilization. The high quality barrier material is designed for use with pano x-ray machine bite blocks. Mydent International has introduced X-ray Sensor Sheaths to its growing line of DEFEND products. The sheaths are custom fit­ and designed speci­fically for the following X-ray sensors: Universal Dexis, #2 Schick, #2 Kodak, #2 Regam, #1 Kodak, and #1 Schick. Mydent’s X-ray Sensor Sheaths are latex-free with soft, rounded edges for enhanced patient comfort. 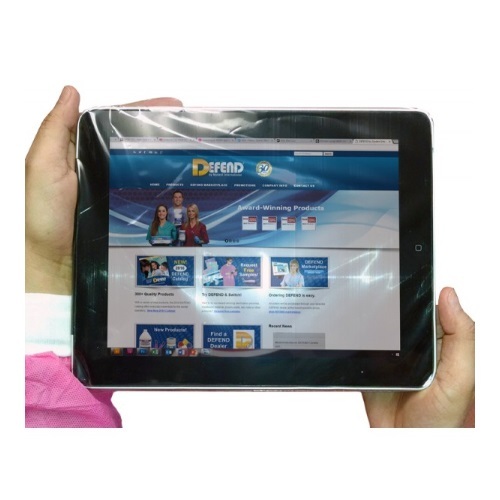 A unique, easy-peel outer wrapping protects the inner sleeve from contamination. The sheaths are now available through most dental dealers. 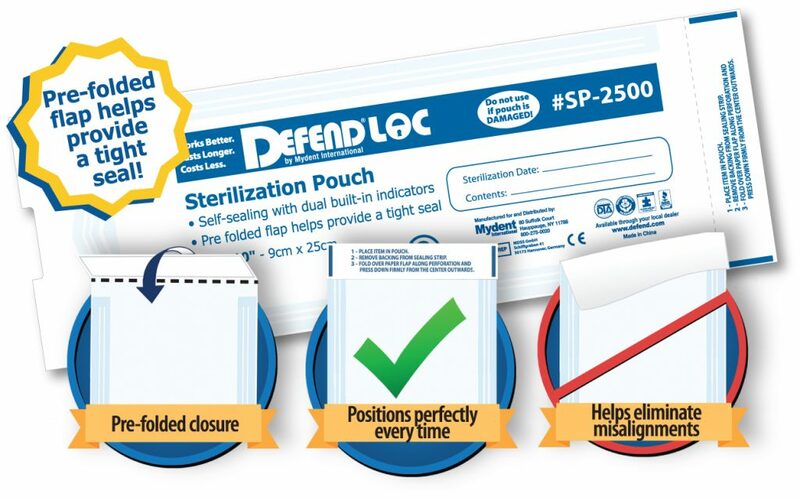 New DEFENDLOC Pouches Whiteboard Video – Must See! Mydent International has launched new and improved DEFEND Level 1, 2 and 3 Face Masks to protect healthcare professionals based on procedures performed. The masks comply with guidelines set forth by the ASTM (American Society for Testing and Materials) and feature a new 4-fold design for improved breathability. iPads and tablets have become more and more prevalent for staff use and patient communication. These invaluable tools are also the most subject to cross-contamination. These barriers are specifically designed to protect touch screen products while not interfering with their performance. Protect yourself and these valuable technology items from splash, splatter, over sprays and other risks. Mydent has introduced 7 Hole Air/Water 3-Way Syringe Tips (#AW-6000) to its growing line of quality DEFEND products. The disposable tip reduces the potential for cross-contamination via air/water syringe. These 7 Hole Air/Water 3-Way Syringe Tips deliver precise separation of air and water for consistent dry air, making it ideal for sealant applications and restorative procedures. New 2016 DEFEND Dental Catalog! 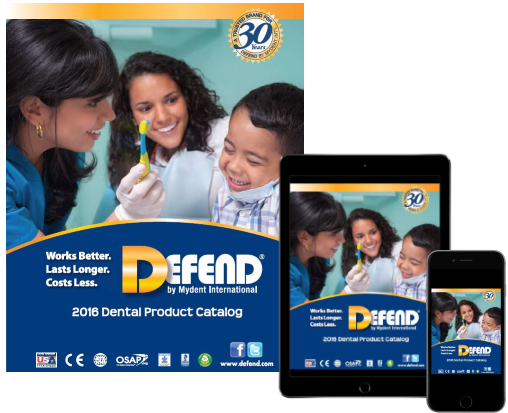 Mydent International is pleased to bring you our brand new 2016 DEFEND Dental Catalog! Inside, you’ll learn about our wide range of high quality infection control products, disposables, preventatives and impression materials. Mydent International is pleased to announce the launch of its new Carbide and Diamond Burs product line. Made of Austrian Carbide, DEFEND Carbide Burs feature a fast, smooth vibration free performance, reducing patient discomfort and operative time. These Burs exceed international standards and are 100% inspected by infared technology. DEFEND Diamond Burs are manufactured with German electroplating technology. With minimal pressure required on turbine, these burs offer maximum precision and minimum vibration. Both Carbide and Diamond Burs are durable and long lasting. DEFEND Jumps into Summer with a Wave of New Products! Mydent International has added Bendable Brushes, Disposable Bib Holders and Curved Utility Syringes to its growing line of DEFEND products. DEFEND Bendable Tapered Applicator Brushes make it easier to apply whitening agents, etchants, bonding agents, sealants, desensitizers, adhesives and resins. This brush’s chemical resistant fibers hold the harshest dental chemicals and allow for maximum carrying capacity, smoothing and spreading. They are available in blue or pink, 100 per box. Visit Mydent at 2018 Yankee Dental Congress – Booth #1727!